The MYSOLE Heellift is suitable for every type of shoe. The MYSOLE Heellift is developed to prevent and cure Achillis tendon and calf muscle related complaints. 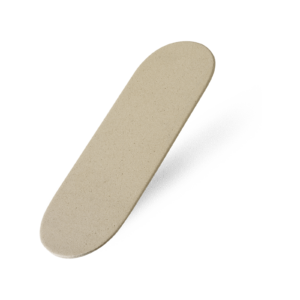 The MYSOLE Heellift relieves the Achillis tendon, which most of the time cures the complaint. The Heellift can be applied in shoes that are too deep or in shoes where the ankles touch the frame work of the shoe. 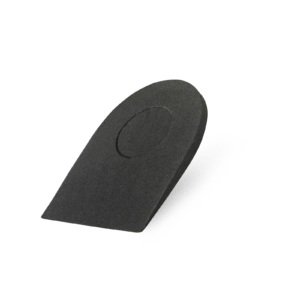 Also compensates possible differences in the length of legs, which can also be solved with this insole. The MYSOLE Heellift is made out of durable EVAmaterial that preserves its original thickness for a long period of time. Always use the MYSOLE Heellift on both feet! * Even when only one foot is in need of an extra insole. 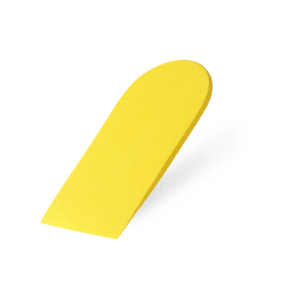 Thanks to the self adhesive insole, it is easy to apply the MYSOLE Heellift inside the shoe or underneath the existing insole. 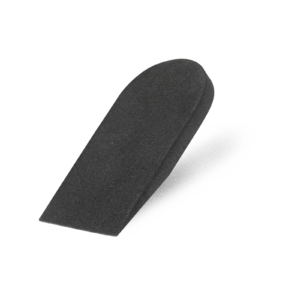 * in case of differences in leg lengths, the insole should be applied to only one foot. To solve the length difference the proscription of a doctor or other authorized expert is needed.